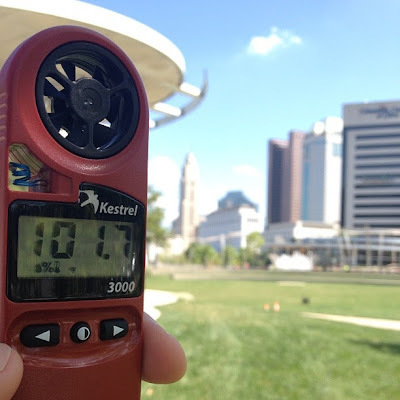 First heat wave of the year on tap today for Columbus! We hit 90 on Sunday and 92 Monday so today would be our first heat wave of the year with a forecasted high of 93. The heat continues through the end of the week so stay cool and hydrated. With all the heat and humidity there will be isolated pop-up showers and storms for the afternoons ahead. Not everyone will see the rain, but isolated locations will experience some heavy rain. More isolated showers and storms for the afternoons through the end of the week. A strong cold front on Saturday will bring a better chance for storms along with relief from the heat wave. Stay cool and have a good one!